Theo oversees the development and delivery of the Cambridge Institute for Sustainability Leadership CISL’s portfolio of graduate programmes. Before completing his PhD at Cambridge, Theo spent 15 years working in industry, mostly on the environmental and social impact assessment of major projects. 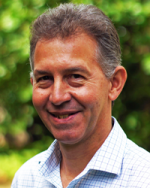 Prior to joining CISL he was a Senior Research Associate at Cambridge’s Engineering Department, where he oversaw an industry-funded research programme into energy efficiency in the built environment. SYNOPSIS: Resource scarcity, climate instability and changing consumption patterns are creating unmet challenges and new opportunities in the food and beverage industry. With increasing pressures on the supply chain, business-as-usual is no longer an option. In this presentation, Dr Theo Hacking, Director of Graduate Education at the Cambridge University Institute for Sustainability Leadership, explores how leading food & drinks manufacturers are using part-time education to equip employees with the skills, understanding and leadership responses required to address key sustainability challenges within their organisation.